I tend to be drawn to two different kinds of movies – period pieces and romantic comedies. Don’t get me wrong, I love a good drama once in a while (The Shawshank Redemption and The Hunt for Red October being two of my favorite movies), but for the most part I love a good comedy or a remake of a classic tale. So when I picked up Austenland by Shannon Hale I was in for a pleasant surprise. Jane Hayes is over thirty, has a long string of ex-boyfriends and is obsessed with all things Jane Austen (especially Colin Firth’s portrayal of Mr. Darcy in the BBC version of Pride and Prejudice). After deciding to quit men entirely and be content as a single woman, her great Aunt dies and leaves her a non-refundable trip to an English resort where she gets to play dress up for three weeks and becomes part of an “Austen experience.” Shortly after arriving in Austenland, the lines between reality and play acting blur and soon Jane isn’t sure what she wants anymore. Is it the Darcy-esque Mr. Nobley, the fun basketball loving gardener or is she done with this sort of fantasy forever? For any of us who have a secret crush on all of Jane Austen’s fictitious men or who enjoy all those movie version of Austen’s various novels (my favorite being Ang Lee’s Sense and Sensibility), Austenland is right up your alley. The book is a sweet, funny and endearing romantic tale. 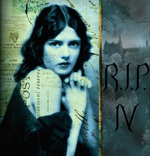 Hale has a great sense of humor which is apparent in her writing and the protagonist is thoroughly likable and funny. They wore the high-collared vests, cravates, buttoned coats with long tails, and tight little breeches that had driven Jane’s imagination mad on many an uneventful Tuesday night. All around her were yellow walls, gaudy Georgian finery, the deliciously historic smell of furniture wax and kerosene. She looked down at herself, dressed in foreign fabric, cleavage encased in rust-colored satin, slippered feet resting on an Oriental rug. She was completely ridiculous. At the same time, she wanted to stomp the ground and squeal like a teenager just asked to the prom. She was here! I borrowed Austenland from my local library, but can see myself reading it again one day. Since I’m a trade paperback kind of girl, I’m going to have to hit the bookstore on May 27th to pick up the paperback copy of this book. In the meantime, I picked up Hale’s book, The Goose Girlwhich I plan to read for Carl’s upcoming challenge. Speaking of playing dress up, this book reminded me quite a bit of one of my most favorite PBS documentaries, Frontier House. I am not a reality tv fan, but there was something about this mini-series (and also the more recent Texas House) that was so appealing. Three families put their “real” lives on hold to take part in an experiment to live, for five months, like Pioneers of the late 1800’s. Their goal, along with living the life exactly like actual people from that time period, is to prepare for the upcoming winter. Frontier House is an interesting concept and the people who volunteered for this experiment make for enthralling tv. At the end of the five months, the families are judged by a panel of historical experts to see whether or not the family would have survived the harsh winter months. Frontier House is available for rent through Netflix and I would highly recommend it. That Frontier House looks pretty interesting, and I don’t usually like reality shows. Austenland sounds like a very original story. I’m definitely going to put it on my TBR list and who knows, I could be reading it next week. And Frontier House! I love love love Frontier House. I remember catching it on PBS when it first aired (I was 16), I taped it and still watch it from time to time. Well, let’s just say back then, I was so in love with it that I would watch it over and over so I feel like I know the contestants. I am a HUGE fan of the ‘House’ shows. Speaking of which, there is one “House’ show in particular that relates perfectly to Austenland. It’s called “Regency House” where a group of young contestants play dress up in an English manor, hoping to experience Austenesque love connections. I think Shannon Hale might have seen this show. It’s also on DVD. Jeane – I don’t like reality tv but found Frontier House to be so intriguing. You should definitely rent it sometime. Ty – Thanks for the info on Regency House – I am going to add it to my Netflix list now! Years ago my old boss recommended Frontier House and I ended up watching it and really enjoying it, even my husband watched it and liked it. As far as Jane Austen, my favorite movie adaptation of one of her books is Emma with Gwyneth Paltrow and close 2nd is Sense and Sensability. Julie – I loved Gwyneth Paltrow in Emma, although I have to say that Sense and Sensability is still my favorite. I manage to cry every time I see it! I love Gwyneth Paltrow and this was one of her early works that gave her a lot of recognition. Her favorite role of mine is Thomas Kent/Viola in Shakespeare in Love. I cry at that movie all the time. I love Kate Winslet and Emma Thompson in Sense and Sensability. I haven’t seen it in ages so maybe I’ll see if it’s on free cable movies. I love the PBS “House” series! Its a show that the whole family can watch!! Although I think its hard to know when new ones are on! 🙂 Thanks for the recommendation! OK, you really got my attention with Frontier House! I loved that show! 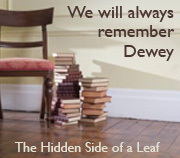 Sounds like a nice cozy book–I’ve heard good things about it and seen it around the blogosphere a lot lately. I really need to read/watch Sense and Sensibility. I picked up the movie on sale the other day at Target, but want to read the book first (as always). I’ve attempted to watch Hunt for Red October twice now and slept both times (once in my government class senior year of HS). Oops! Yeah, I like Austen movies (have trouble with the books as you know). I’ll put this on my TBR list — it sounds like a fun read! Meh. I’m one of those who have never actually read more than a few pages of a Jane Austen book. I’m familiar with her work but I’ve never been able to read her nor have I watched any of the movies although I might like those. I could see Austenland being made into a movie, especially the ending. I kept picturing myself watching this story on the big screen. 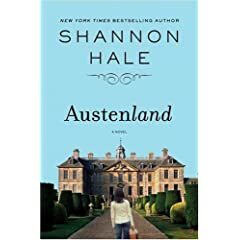 Austenland was my first Hale book so I didn’t have any preconceived notions about her “style.” All in all, I enjoyed it. Maw books – I agree. Austenland would translate really well to a film and I would be first on line to see it! I’m waiting impatiently for the paperback release of Austenland. I’ve heard such good things about it, and of course I love all the Austen stories and movies. I’m so glad to have found your blog. Thanks for stopping by Hooked on Houses and leaving a comment, which led me here. I read Austenland, too–huge Austen fan here–so it was fun to read your review of it. Julia – I wouldn’t have made a good frontier woman and would complain the whole time. My husband would jump at the chance to do something like that and would be great. Between the two of us it would probably make great tv! Austenland seems like a really interesting book. Thanks for the rec! Who doesn’t love Colin Firth in the BBC’s Pride and Prejudice? Is Frontier House the one where one of the women acts like a pouty jerk because she can’t wear makeup or polish her toenails? Bybee – I think so, although that same women became really likable as the show continued. I was googling to see if Austenland is planned for a movie, and saw your post Austenland and Frontier House. It’s funny to see them in the same sentence, because I’m absorbed in both stories right now.